Today is Good Friday. This Friday is a Holiday world over for the Christians because it was believed by the people that Jesus Christ crucified on this day. As a holiday I had a lot of free time today and I entered into my computer and started browsing. I had this blog started on the year 2010. When my daughter gave birth to her boy child, I became very happy and placed the baby’s name to this blog as ‘Josain’s blog’.Josain is now Six years old. After few years of running this blog, slowly the blogging activity get retarded and come to a stand-still. When I decided to revamp the blog, I came to know the truth that I forgot the log-in details. Unfortunately, I didn’t keep a record for that. Definitely it was my fault.I used to log-in with some wrong numbers and got tired. I discussed this matter to some forum platforms even.I made representation to the admin team, but was not fruitful. I tried to my level best to recover the forgotten data for many days, weeks and months. At last today, this Good Friday, I got the clue to log-in again and make a new post after three years. So, I am very glad today on this account even though it is a Good Friday being observed by a christian man as a sad day. Hope that I can continue my blogging endeavor without any problem. Today it is the 25th day of December, 2012. The world is commemorating this day as Christmas Day. We wish to all the viewers of josain’s blog a very ‘Happy Christmas’ day. 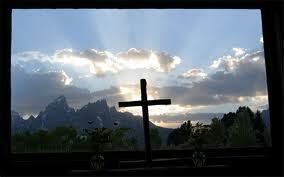 Today it is the glorious day of Easter.Christian community world over commemorated this day with all its gaiety. Josain’s blog for online services hereby submit Happy Easter Wishes to all it’s viewers. .
On his Test debut, Sachin Tendulkar was the third youngest debutant (16y 205d). Mushtaq Mohammad (15y 124d) and Aaqib Javed (16y 189d) debuted in Test matches younger to Sachin. Since then, there have been 2 players who were younger than Sachin on their Test Cricket debut: Hasan Raza – Pakistan (14y 227d), the current youngest debutant, and Mohammad Sharif – Bangladesh (15y 128d). Highest run scorer in the history of Test cricket with 15,470 Test runs. Career average (1989–2012, 188 Tests, 15,470 runs) at 55.44. Became the first Indian to surpass the 11,000 Test run mark and the third International player behind Allan Border and Brian Lara. Lara took 213 innings, Sachin 223 and Border 259. Second Indian after Sunil Gavaskar to make over 10,000 runs in Test matches. Sachin and Brian Lara are the fastest to score 10,000 runs in Test cricket history. Both of them achieved this in 195 innings. Sachin Tendulkar (8705) world record of runs scored in Tests away from home. Sachin Tendulkar (29) world record of Centuries in Tests away from home. First player to reach 12,000-13,000-14,000-15,000 Test runs. Holds the record for scoring most 1,000 Test runs in a calendar year. He has done it six times – 2010 (1562 runs), 2008 (1063 runs), 2002 (1392 runs), 1999 (1088 runs), 2001 (1003 runs) and 1997 (1000 runs). 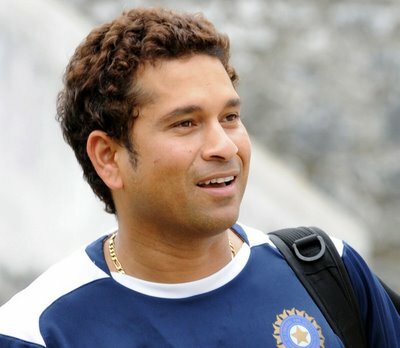 Sachin Tendulkar is the fourth highest run-getter in a single calendar year in Test History. He has scored 1562 runs in 2010 and is behind Mohammad Yousuf (1780 runs in 2006), Viv Richards (1710 runs in 1976) and Graeme Smith (1656 runs in 2008). Sachin Tendulkar created yet another record on 8 November 2011 when he became the first cricketer to score 15,000 runs in Test cricket, during the opening Test match against the West Indies at the Feroz Shah Kotla Stadium in New Delhi. Sachin Tendulkar created a world record for aggregating most runs in the fourth innings in Tests, going past Rahul Dravid’s tally of 1507 runs during India’s second innings of the first Test against West Indies. Sachin Tendulkar became the first cricketer to score 100 centuries in International Cricket (Including Test and ODI). Tendulkar scored his 100th century on 16 March 2012 in the Asia Cup against Bangladesh. Highest number of Test centuries(51), overtaking Sunil Gavaskar’s record (34). On October 10, 2010 (Need to verify) in Bengaluru (Bangalore) against Australia in the Border-Gavaskar trophy’s second and final Test match Sachin reached a milestone. With a single to third man, Tendulkar reached his 6th double century and his 49th test century. When Sachin scored his maiden century in 1990, he was the second youngest to score a century. Only Mushtaq Mohammad had scored a century at a younger age by 1990. Tendulkar’s record was bettered by Mohammad Ashraful in 2001/02 season. The record for previous youngest Indian centurion was held by Kapil Dev. Sachin’s record of five centuries before he turned 20 is a current world record. Sachin holds the current record (217 against NZ in 1999/00 Season) for the highest score in Test cricket by an Indian when captaining the side. Gavaskar held the previous record (205 against West Indies in Bombay – 1978/79 season). Sachin has scored centuries against all Test playing nations. He was the third batsman to achieve the distinction after Steve Waugh and Gary Kirsten. The current list also includes Brian Lara, Ricky Ponting, Rahul Dravid, Jacques Kallis, Adam Gilchrist, Marvan Atapattu, Kumar Sangakkara and Mahela Jayawardene. Apple Inc today launched a new product under its iPad series, named as iPad 3 however Apple CEO Tim Cook teased the device, which the company calls ‘the new iPad,’ not ‘iPad 3’ at an event in San Francisco on March 7, 2012. The ‘new iPad’ doesn’t come with all features that were being demanded by Apple fans. Nonetheless, it is a great product with a fresh processor, increased screen resolution, new firmware and a set of other advanced features. 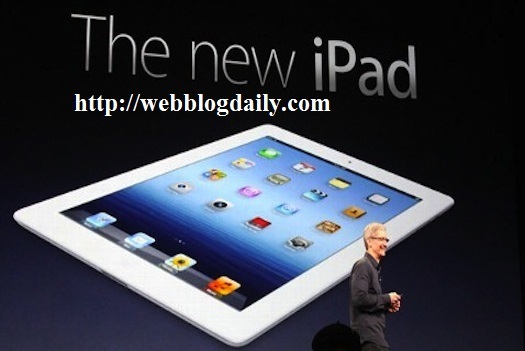 Apple Inc also announced that iPad would be available for sale in less than two weeks after the announcement. Customers in the U.S., U.K, Canada, Germany, France, Japan, Switzerland etc. will get the new iPad on March 16, 2012. Apple has introduced a new chip called the A5X for the new iPad. The ARM-based chip, as Apple brags, will perform “twice as fast” as NVIDIA’s recent Tegra 3 quad core processor. Apple says the A5X chip eliminates the need for a quad core processor. On the other hand, Tim Cook says the device will sport a NVIDIA chip for graphical performance. It is a bit confusing, indeed; however, we can wait and see what the new iPad will turn out to be. Coming to the onboard storage, the new iPad just replicates its predecessor. The device is also to get three memory variants; 16, 32 and 64GB. The rumors for a possible 128GB model are without substance. It is here that Apple has done the real magic with the new iPad. The device will sport a stunning Retina Display like the iPhone 4 and 4S with an amazing resolution of 2048 x 1536 pixels. It is only 246-ppi in sharpness, however. But it is enough to pack the screen resolution. The screen is the same 9.7-inch panel and Apple has implanted fingerprint-resistant oleophobic coating on its screen. The new iPad is to come with a 5-megapixel iSight rear camera. You can capture video at 1080p on the gadget. The camera features a 5-element lens, auto focus lock, image stabilization for video and auto face-detection. Moreover, the tablet touts video geo-tagging and tap-to-focus features for enhanced camera experience. Apple has applied all essential connectivity features on its new iPad. Basically, the third gen iPad is a 4G LTE product, but it works only in North America, where the 4G LTE has really flourished in recent times. Customers in U.K. and other countries will have to curse their slow networks. In the U.S., the device will have separate models for AT&T and Verizon, Apple’s cellular service partners. Global markets will get both CDMA and GSM variants. The tablet also supports HSPA+ (21Mbps), DC-HSDPA (42Mbps) and LTE (73Mbps). Wi-Fi, Personal Hotspot, Bluetooth and USB are there on the respective models. Apple hasn’t brought any notable design changes to the new iPad. 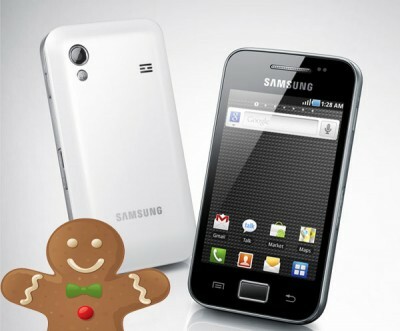 It looks exactly same to its predecessor with 9.4mm thickness and 652g weight. The Wi-Fi+4G model weighs 662g. In fact, Apple hasn’t attempted to trim down both the weight and size of the 9.7-inch tablet. Moreover, it features the 30 pin dock connector, which was rumored to be not there. Similarly, there are no microSD slot, Thunderbolt and mini Display Port, which were speculated to appear on the new iPad. The 2012 version iPad is finally out. Heaps of rumors over the much-anticipated product are settled down. Features of the new iPad have turned to facts. It will now hit stores shortly to let customers test the product and to cherish their new possession. You might well be aware about the Android, Open Source operating whose Intellectual Property Rights are with Internet giant Google Inc. Since Google plans to see the Android OS platform as the top platform that would give them a command in Smart Phone market. With over half-a-Million apps across Android Market Android has many applications as compared to its rival Apple’s App Store but here are few Cons that are acting as hurdle in Google’s dream to make Android world’s # 1 Smart Phone Operating. Since Android OS is built on Java, due to the presence of daemon thread that is constantly running in background it badly effects the efficiency of the battery, irrespective of the facilities of Smart Phone applications/services being used or not. Related:-Boost your Smart Phones battery life. Although Google Inc constantly launches various new Versions of its Android versions named after tempting deserts,but however the among them very few versions are stable from the point of view of developer so a lot of applications do not support the latest version leading to the agony of the user using the latest version. Although Google Inc controls Android’s Intellectual Property Rights, but however as far updates for the end user is concerned its all managed by the manufacturer who has the hardware for Android OS.